Indonesia may be the only country in the world that regularly holds a national church choir festival sponsored by its own central government. Indonesia’s national church choral festival, known as Pesta Paduan Suara Gerejawi or Pesparawi, is the final round for 34 winners representing 34 provinces, in which they compete in 12 categories and for an all-round winning title. These 12 categories are Children’s Choirs, Youth Choirs, Female Choirs, Male Choirs, Adult Mixed Choirs, Vocal Groups, Christian Pop Music, Ethnic, Children’s Solo, and Youth Solo. Pesparawi is an official programme that is held every three years by the Ministry of Religious Affairs, under the Directorate-General of Christian Community Affairs and the National Pesparawi Development Programme. The holding of this festival has two aims: 1) to strengthen the ties between the 30 million Indonesian Christians through choral singing; and 2) to be the means by which church choirs improve their overall quality, particularly at national level. The first festival was held in 1986 in Jakarta. Since then, the host of Pesparawi has changed from one province to another in order to give the same opportunity to all the provinces in Indonesia. It was not a coincidence that Ambon was appointed as the host of the XI National Pesparawi. Ambon is the capital city of Maluku Province and experienced several severe social conflicts from the end of the 1990s until the early 2000s. These religion-based conflicts not only damaged the city’s infrastructure and public facilities, but also the interfaith social relations that had been established for ages. Religious tolerance, which was built through the pela gandong principle – the formal creation of family ties between two different kingdoms or counties – was completely shattered within years. The courage of Maluku Province in proposing Ambon as the host of the XI National Pesparawi was in showing the public that the situation in Maluku, particularly in Ambon, has been brought back to normal. It was therefore not surprising that the national organiser chose Psalm 133:1 “How good and pleasant it is when God’s people live together in unity!” as the theme of the festival. 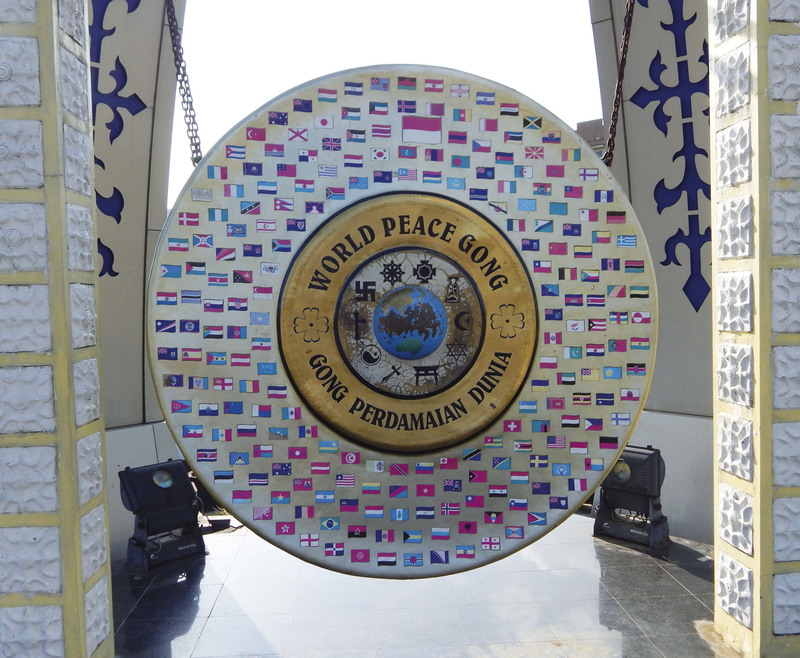 The theme clearly describes the current situation in Maluku as being more peaceful and tolerant. 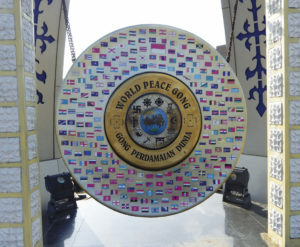 Ambon displayed its serious efforts in hosting the event by involving all the components of the community: the local government, the private sectors, the army, the police force, and the Moslem, Hindu, and Buddhist communities. The 8-day festival (4-11 October 2015) was festive and peaceful. All contingents were very impressed with the hospitality of the Ambon residents during the festival. The warmth and sincerity expressed by almost all Ambon residents have changed the image of Ambon as a hostile city into a city that is not only beautiful in its nature, but also in its residents. In the closing ceremony of the XI National Pesparawi, Maluku as the host was awarded with the all-round winning title, beating its closest competitor, the West Papua Province. Maluku won in three categories: Male Choirs, 7-9 year-olds Children’s Solo, and Christian Pop. West Papua Province as the second place all-round winner also won three categories: Female Choirs, Youth Choirs, and 10-13 year-olds Youth Solo. Music (in this case, choral music) has proven to be an effective means of uniting different ethnic or religious groups. Differences melt as the music plays. 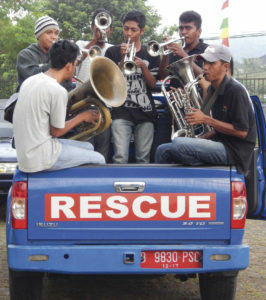 A marching band whose members consisted of students from a local public senior high madrasa (an Islamic school), Madrasah Aliyah Negeri I Ambon, performed during the opening ceremony. A group of participants wearing the hijab was sighted in the parade of contingents before the President of Indonesia, who opened the festival. Competition venues were not only filled with members of the Christian community, but also with members of other religious communities. It seems that such togetherness could only be achieved through musical performance. Choral music may be considered then as an interreligious, interracial, and intergroup artistic phenomenon. The attempts and efforts to restore the unity in diversity in Ambon were successfully executed through the XI National Pesparawi. If diversity in the past was united through the principle of pela gandong, Ambon has now transformed its diversity through musical events. A huge display bearing the motto “Ambon, the City of Music” at its airport seems to restate strongly that the new Ambon is the more musical Ambon. 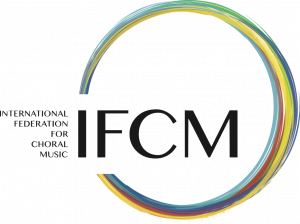 In the future, the International Federation for Choral Music could contribute more to creating world peace through choral singing. Choral music might be regarded as an effective way to unite people with different religious, ethnic and political backgrounds. Its ability to soften people’s hearts has enabled music, including choral music, to participate more effectively in the creation of a more peaceful and hopeful world. 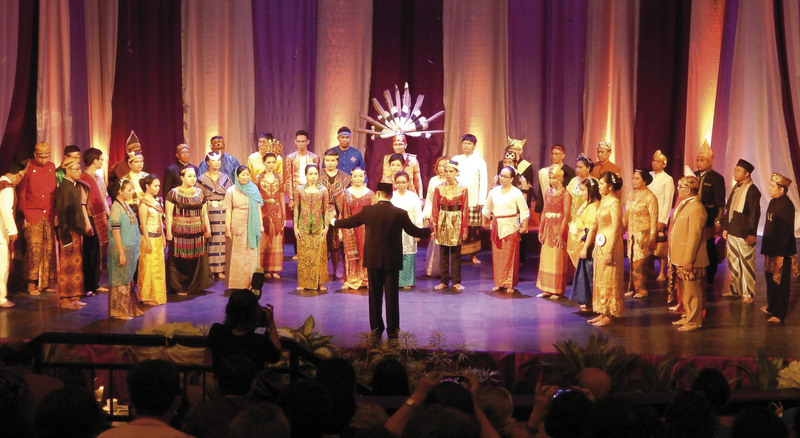 The XI National Pesparawi in Ambon was just an exemplar of the use of choral music in embracing people from different cultural and religious backgrounds.